Acne is a bit like a game of Minesweeper (and I hope I'm not aging myself too much here with the reference). You take careful steps to keep your skin clear, but one wrong move and your skin breaks out like crazy. 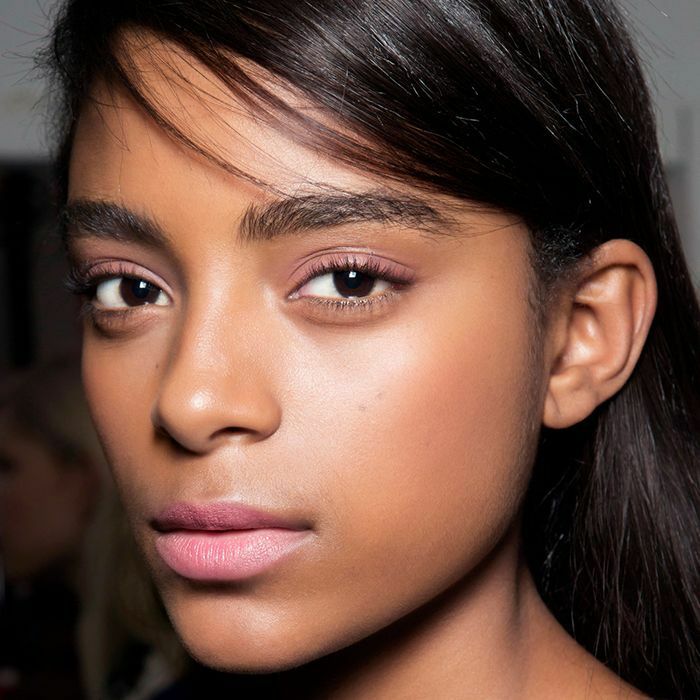 And if you haven't nailed down a strategy to help your skin stay clear, you end up just clicking around—I mean, treating it—haphazardly and breaking out even more quickly. That's why it's paramount to find a proven treatment that won't lead to another mass of mines smattered across your face. Enter chlorophyll. You learned about it in middle school science and probably remember it's got something to do with plants being green, but modern science has discovered that it's actually excellent artillery against pimples. "Based on several clinical trials, chlorophyll likely works through both decreasing inflammatory markers in the skin and decreasing P. acnes, a bacteria thought to contribute to acne formation," explains Rachel Nazarian of Schweiger Dermatology Group. Want to learn more about how this natural ingredient works in combat? How Does Liquid Chlorophyll Work to Treat Acne? When applied topically, chlorophyll works as an antibacterial as well as an anti-inflammatory. It's even been scientifically proven to increase the rate of healing wounds, and since acne lesions are essentially wounds, chlorophyll would then help speed up cell turnover and clear skin faster. 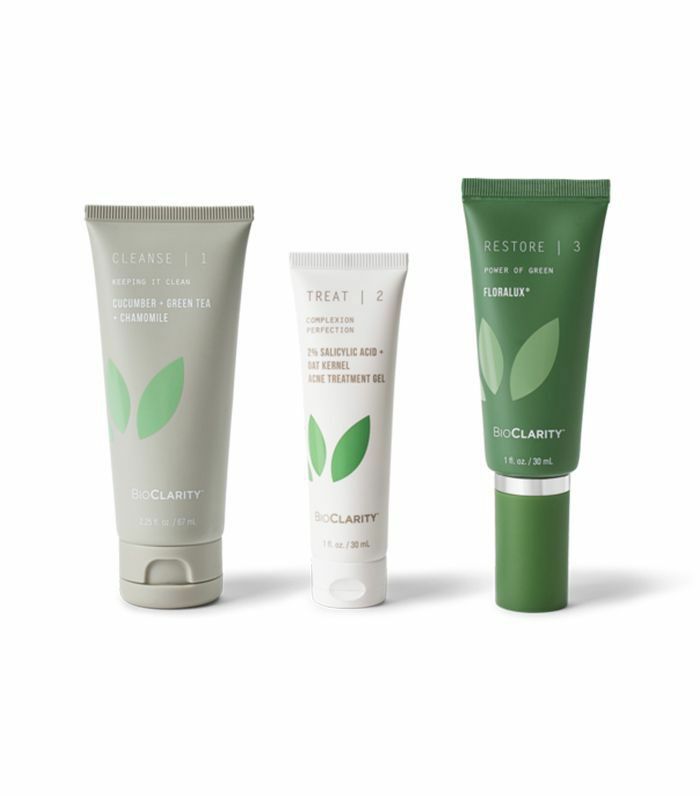 But while chlorophyll works independently in each of these ways, Nazarian tells us that it's never been tested specifically as an acne remedy before a line called BioClarity. It works by utilizing altered chlorophyll molecules that have gone through substitution of magnesium with copper, creating what it calls Floralux, a patent-pending, proprietary ingredient created by BioClarity. This provides additional skin benefits such as the boosting of collagen and elastin formation without the worry of using traditional heavy metals that carry a risk of toxicity. Nazarian tells us that because the molecule is anti-inflammatory and combined with several other calming ingredients within the three-step system, the risk of irritation is decreased, and the product can be used twice daily. There is also no risk when using it in conjunction with other products. Chlorophyll has also been proven to work well in conjunction with photodynamic therapy, or blue and red light. Researchers found that applying the light on top of a chlorophyll-lipoid complex (similar to Benevolent's offering) helped to significantly decrease acne lesions and sebum levels when compared to using light therapy on its own. Can You Apply Straight-Up Liquid Chlorophyll to Your Skin? Aside from the above study that used light in conjunction with liquid chlorophyll, little research has been done to prove its efficacy in directly treating acne, though Nazarian says it can be applied topically on its own if you so choose. Will Drinking Chlorophyll Help With Acne? "The trials and research on this are still being done, but there is some evidence that supports orally taken chlorophyll in an anti-aging regimen," explains Nazarian. "Chlorophyll's natural antioxidants are thought to fight free radical damage, leading to improvement in signs of skin aging, such as decreased wrinkles and repairing DNA damage." While you can purchase liquid chlorophyll and put it in your drinks or food, you can save money and get the good stuff straight from the earth (of course) by making a smoothie with leafy greens like spinach, kale, collard greens, and chard. Next: Read what happened when I tried another green drink to clear my acne.